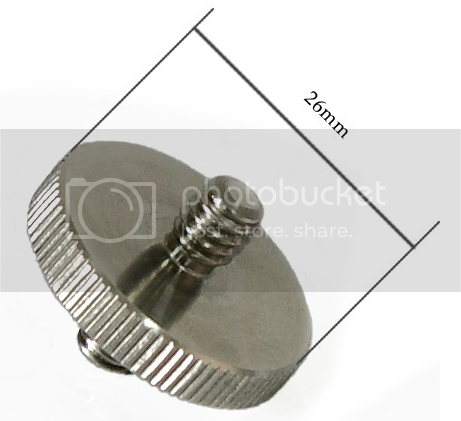 BIG - Double Head Stud with 1/4" to 1/4" thread. Made of ALL Stainless Steel, much more stronger. 26mm diameter, much bigger than our Old Smaller Converter screw. Much more easier to srew onto other accessories.